A tale of two missions. Part 2. | Are we there yet? ← A tale of two missions. Part 1. It was just appropriate that, in line with the general low-key-feeling of the entire place, the next stop in our tour looked a lot like grandpa’s barn meets serial accumulator’s shack, if one was willing to ignore the fact that the thing was a good hundred-meters long and had one side painted with the outline of a Saturn V rocket, Star Wars-esque font included. It is cliché to say that but I can’t deny that, as I entered through a side door, the thing lying on its side stole my breath. Not one for memorable words – NASA would never have chosen me to be the first one to step off that LEM ladder in July 1969 – I half muttered an imprecation in Italian, instantly grateful for the fact that almost no one, amongst those who’d decided to spend Christmas Eve looking at science instead of speaking with imaginary friends, knew the lingo. I might be in a crowd of one, but it’s my firm belief that if every epoch, every era, every culture has its own masterpiece – Stonehenge, Giza’s pyramids, Parthenon, Roman aqueducts, Emam Alì mosque, Chichén Itzá – then ours did little better than this behemoth. Our fathers built a tower, 110-meters-tall, filled with 3.5 million litres of explosive stuff, capable of developing 3.4 million kg of thrust from its first stage only, and we sent it to a moving object in the sky 384,000 km away from us. It was assembled in a building so vast that clouds formed in it, it lifted 130 tons from the ground and reached a maximum speed of 65,400 km/h or 18 a second. Everywhere, from the delicate escape tower perched on top of the command module to the spidery wirings sprouting out of the third stage engine, are examples of the precision, scientific accuracy and utmost attention to detail that, both in good and bad ways, are the trademarks of our modern society. A friend with good command of Russian and Ukrainian came to the rescue of my pathetic Cyrillic skills. 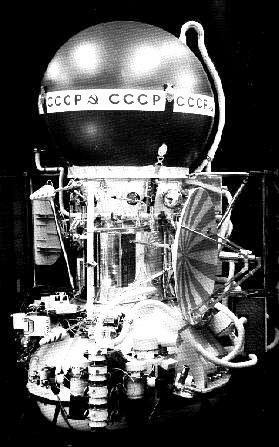 BEHEPA meant Venus, and Venus-10 was a Soviet probe, no prizes to guess headed where. She launched in 1975, headed for our cloudy and hot neighbour, landing after 4 months of travel. It valiantly soldiered through a turbulent landing, took photos of the ground and took measurements of wind and rocks before it succumbed to the hellish, 400C temperatures of the planet. How did my pin manage to find itself, lone amongst many others, in a shop in the provincial backwater that was Dušanbe, I had no idea. I also ignored whether it was a rare find, a priceless memento or a dime-a-dozen piece of tat and, frankly, I didn’t care. The pin became my one of my luck charms, sitting in my backpack with other trinkets that proved that neither I nor the Irish, to adapt a quote from Stephen King’s “Dreamcatcher”, ever really got out of the bath of superstition in which we were born. Mission banners hung from the ceiling, one for each Apollo leap, beginning with the tragic Apollo 1 which never got the chance to lift off. Apollo 8, though, is where I want to go. Arguably, it is my favourite: a mission of firsts, worthy of comparison with Magellan, with Hillary and Norgay, with Nansen. Borman, Lovell and Anders were the first of our specie to leave the Earth’s orbit. The first to dip their toes into inter-planetary space. The first to be sucked into another celestial object’s gravity well. The first to orbit the Moon and to see its dark side. If the genie of the lamp appeared and granted me the wish to join one mission, it’d have been that one and not Apollo 11. Apollo 8 was exploration, condensed. It’s in that moment that I reminded myself of the small Tajik-Venusian pin in my backpack, sitting in a dark velvet pouch together with a compass, gift from my brother. I took it out and thought about taking a photo with the Saturn V in the background, a task way simpler in theory than in practice. Finally, it sorts of worked. A small hammer and sickle lapel poses in front of a flying building decked out with massive stars ‘n’ stripes. Bigots might find it provocative, a slap from the losers to the space race, but that wasn’t my intention (and, besides, it seemed that today’s audience was rigorously bigot-free. Christmas Eve has its uses, I guess). Fact is, time and again, Russia’s and America’s space agencies cooperated whilst their leaders, through the decades up to now, squabbled, bickered, argued and name-called each other whilst fuelling proxy wars. In the meantime, scientists ignored the kids and continued working, often together. In facts, if anything, space exploration has helped putting nations and ethnicities together in the name of science, uniting when politics and religion divided; and please tell me if this isn’t another reason for space exploration, and Saturn V as its flag-bearer, to be a serious claim as our era’s masterpiece. We left Houston with one more souvenir and that night, back at the hotel, I united with its colleague from afar. Apollo 8’s patch, the elegant figure of 8 showing the free-return trajectory, the symbol of the mission I’d so often read about, now sits in my backpack with Venus-10’s pin, the mission I knew nothing about until a chance encounter in a Dušanbe flea market. Different, yet united in their purpose. This entry was posted in Americas, USA and tagged 747, Anders, Apollo, Apollo 1, Apollo 11, Apollo 8, Austin, Boeing, Borman, Chief Astronaut, Cosmos, Faith 7, Gemini, Gemini 5, Gene Cernan, Gene Kranz, Houston, Johnson Space Center, Lovell, Mars, Mercury, Micheal Collins, Moon, Moon Buggy, NASA, NASA Parkway, Orion, Pete Conrad, Pin, Shuttle, Space race, Space Shuttle, Texas, TSUM Dushanbe, USA, USSR, Venera 10. Bookmark the permalink. 12 Responses to A tale of two missions. Part 2. Great post! Though provocative too. Saturn V on a par with Giza Pyramids, classic paragraph. It still beggars belief that we managed to send people to the moon. And the space race to bring people together, yes! When i was five at the height of the Cold War, Russians and Americans linked up in space, a beautiful incongruous event while our missile pointed at Moscow, and their to NY and London. I recently saw a documentary that suggested the Russians won the space race. The Americans got to the moon first, but the USSR when it collapsed gifted the word Mir, which became the ISS and today has done so much for us. Hey, Loons! (sorry, had to do it one of these days). Thanks for reading, and glad you liked the idea of comparing Saturn and Giza… What recently blew my mind is the plan to create a deep space – between Moon and Earth – station to replace ISS, from which to go on to the Moon and beyond. Exciting! I think we saw the same documentary, was it a BBC one? Yes it was a BBC documentary. Exciting times indeed! Hi Fabrizio-An interesting comparison of ancient wonders with space flight. I’d agree with that, I think. I love astronomy, but have never really followed the space race. Thanks for sharing your passion for it. hi Julie, thanks a lot for reading. The space race is really worth delving into, there’s everything! History, suspense and also a refreshing sense of faith in humanity… If you wish to pick up a book, I’d recommend “Carrying the Fire” by Mike Collins. He’s a great writer. Interesting comparison of Soviet and American scientists working together while the “leaders” could only squabble. Kind of makes you wish that when leaders visited each other they’d wear their polite company hats – omitting politics and religion and sticking to things like science and how the kids are doing. I bet you were a fan of the Apollo 13 movie. How did you find out about the film?! I agree about the politicians. Just talk business, science and the kids. Add sports but only if you promise to behave. The Yugoslav space programme? Seriously? Did Josip stick a Yugo to a rocket and threw it to the Moon? It seems something like “Fascisti su Marte”, a hilarious TV series they used to put on RAI3… Got to check it out! Is that you and your memorabilia-holding backpack admiring the hardware? I am smiling at your crazy love affair with space! So glad you got to scratch that itch while in Texas. It is indeed me and my memorabilia backpack! 🙂 I was smiling too, so much so that my face ached all the way back to Austin.